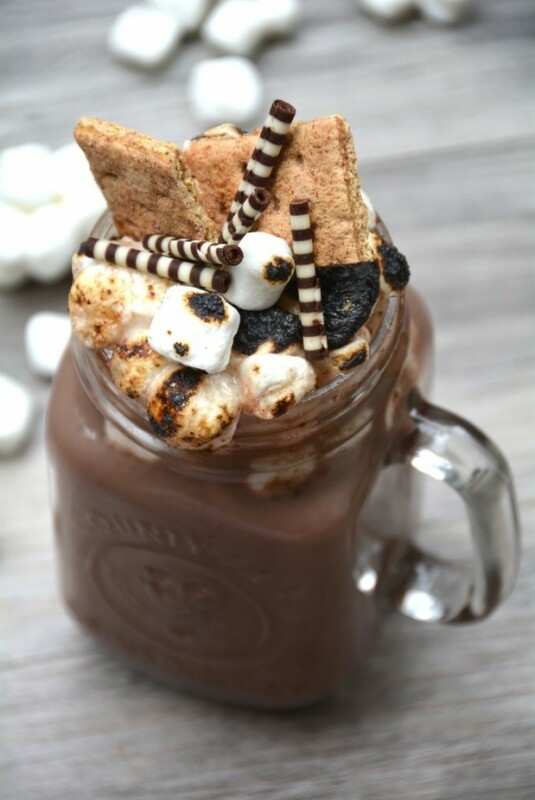 Whether you’re sitting in front of a campfire, a beach fire pit, or your own backyard grill, there’s only one drink that you’re required to have in your hand: a s’mores cocktail! National S’mores Day is a perfect excuse to make yourself one tasty, chocolaty beverage. Made with some of your favorite spirits and liqueurs, this recipe doesn’t even require skewers…only an appetite for something sweet, strong, and delicious! 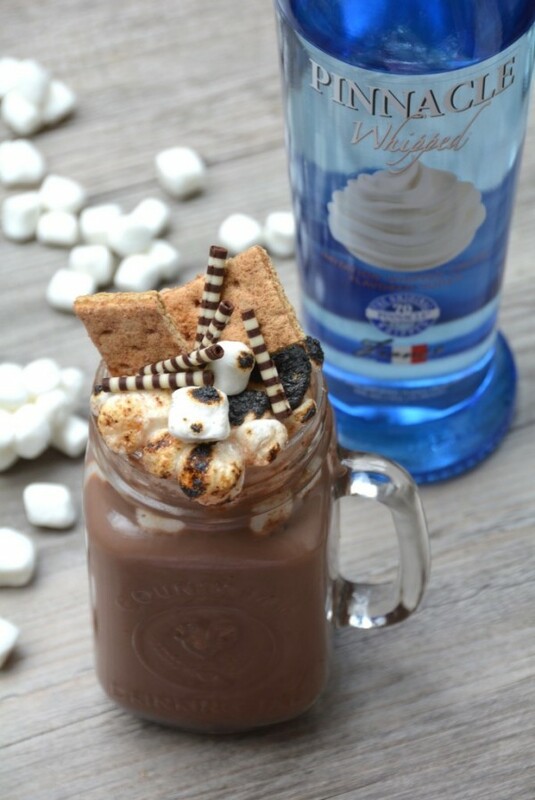 In a large mason jar, coffee mug, or teacup, mix the Pinnacle whipped vodka, Godiva chocolate liqueur, Hiram Walker butterscotch schnapps and hot chocolate together. Stir well. Garnish with toasted marshmallows, graham cracker pieces, and shaved chocolate, and serve.